Check out these vacation homes that Oasis Watersports delivers to. Also, check out our delivery locations page to see if we deliver in your area. Need a place to stay? These are just a few of our favorite places. Located in the same gated community, Lakeside Estates, and DIRECTLY ACROSS from our dock, Norris Lake Villas features multiple homes perfect for large family vacations. Big Dipper is located in a peaceful cove, conveniently across from our dock, and features surround sound on every deck, and a luxurious kitchen. The other homes, Slice of Heaven and Night Sky also provide luxurious amenities that no other rental on Norris Lake can provide. One even features a movie/theater projector screen! THE ONLY 9 BED 9 BATH ON NORRIS LAKE! This large 3 Story Lake House in the Lakeside Estates subdivision on Norris Lake is perfect for reunions, group vacations and business retreats. It sleeps 26+ featuring 9 BEDS and 9 BATHS (each bedroom has its own private bath), 3 full length 50 foot decks, with hot tub on lower deck, all with beautiful lake and mountain views. It has a large main upscale kitchen and dining room and there is also a kitchenette with bar on lower level. Laundry rooms on 2 levels. For your lake activities, it has a 2 Story Dock with covered slip and dock furniture. Just up the cove from Oasis Water Sports, the Great Escape is a spacious and private 4300 sq. ft. 9-bedroom, 2-kitchen vacation home that sits right on the banks of beautiful Lake Norris in Lakeside Estates. The floor plan features 5 full bathrooms, 2 master suites, 2 full kitchens, 3 living rooms, foosball and air hockey tables, 3 covered decks with a hot tub. The vaulted ceilings with large, ample windows offer amazing views of the lake from every floor. The home also features 5 king and 2 queen pillow top mattresses, making it a comfortable choice for a multiple-family vacation or group retreat. New! Beautiful! Private! LakeFront Log Cabin Style Home with Private Dock and Seadoo Dandydock on Year Round Deep Water on Norris Lake in the Mountains of Tennessee. 6 Bedrooms and 3.5 Baths on four levels stocked with plush linens. Lower level with 2 bedrooms: 1 Queen room and 1 room with 1 Queen and 1 full over full bunk beds. Main level Master Suite with TV. Upper level with 2 Queen rooms and Loft level with full over full bunk beds. This is a Deep Year Round LakeFront Property near Sugar Hollow and Shanghai Marina's, the Blue Jumping Bridge, close to Deerfield Resort and Tiki Bar, and LaFollette Airstrip which accepts local air traffic. This beautiful lakefront home is perfect for all kinds of family fun and helps to create unforgettable family memories!! You will LOVE it as much as our family has....guaranteed!!!!!! Another home in the perfect location on Norris Lake, Happy Hour is the definition of paradise. This house includes a tiki bar on the dock, a covered slip, located next to the famous "jumping bridge", and accommodations for large families. Some of the best reviews on Norris Lake. The condo is a 3 bedroom home with Direct TV, WiFi, game consoles, and a complete washer/dryer combination. Come and be as you are on Norris Lake. Located in prestigious Lakeside Estates gated community, Wake Dreams cabin has everything for your vacation. "Good Company" at Norris Lake is a 3800 sq ft lakefront cabin boasting 8 bedrooms, 4 bathrooms, 2 living rooms, and a game room. Enjoy the fresh mountain air on one of our 3 decks, or relax and rejuvenate in our outdoor hot tub. You'll have private access to the lake and dock--just minutes from Sugar Hollow Marina and the notorious "jump bridge." And if lake water doesn't float your boat, you also have the option of swimming in the Lakeside Estates community swimming pool. Come make lasting memories with Good Company! Spacious 3,600 Sq Ft lakefront home built in 2010 with a private dock, private hot tub, 2 new grills and community pool. Sleeps 24 comfortably. Located in the gated development of Lakeside Estates around the corner from the famous “Jumping Bridge” and right around the corner for Sugar Hollow Marina!! Blue Moon has a modern flare with a great room overlooking the lake, floor-to-ceiling windows, European hardwood floors & a large 50″ flatscreen TV. The large lower level boasts a game table, another 60″ flatscreen TV with surround sound, gaming system, plenty of books and board games. Located adjacent to Sugar Hollow Boat Dock in newly constructed Hidden Springs, you are in a prime location for water fun on Norris Lake! Brand new in 2013, this tastefully decorated 5 Bedroom home has everything you need for a great Norris Lake vacation. This house was designed for a multiple family vacation- you'll have everything you need for a fun and memorable get-away. Located near Deerfield, the home features a great room upstairs with fully stocked kitchen and an enormous rec room with wet bar/spare fridge on the lower level. It’s been “A Hard Days Night”.... 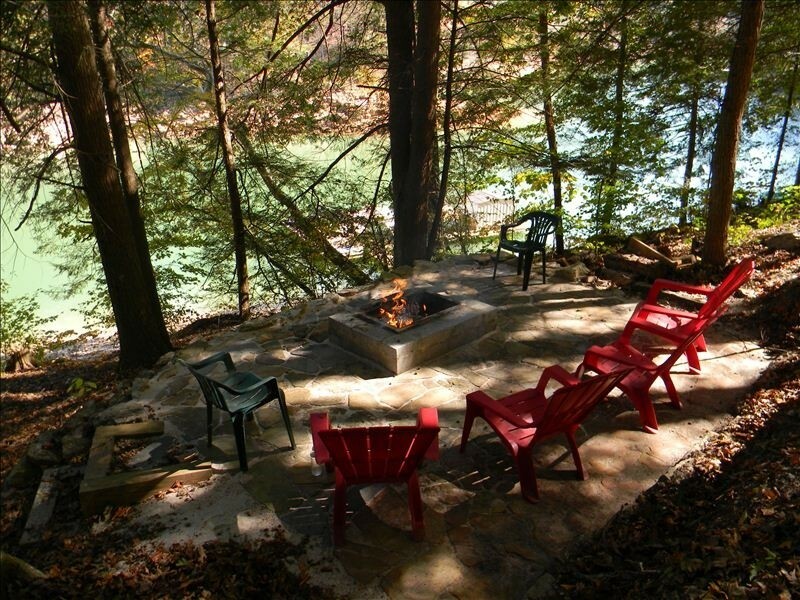 This quaint lake front ‘Beatles’ inspired, BOHO styled, private vacation cottage is located in a quiet cove with a private boat dock on Norris Lake in a small town in East TN called LaFollette, about 30 miles north of Knoxville, TN. This unique cottage is within eyesight of Sugar Hollow Marina and just around the bend from Shanghai Resort! 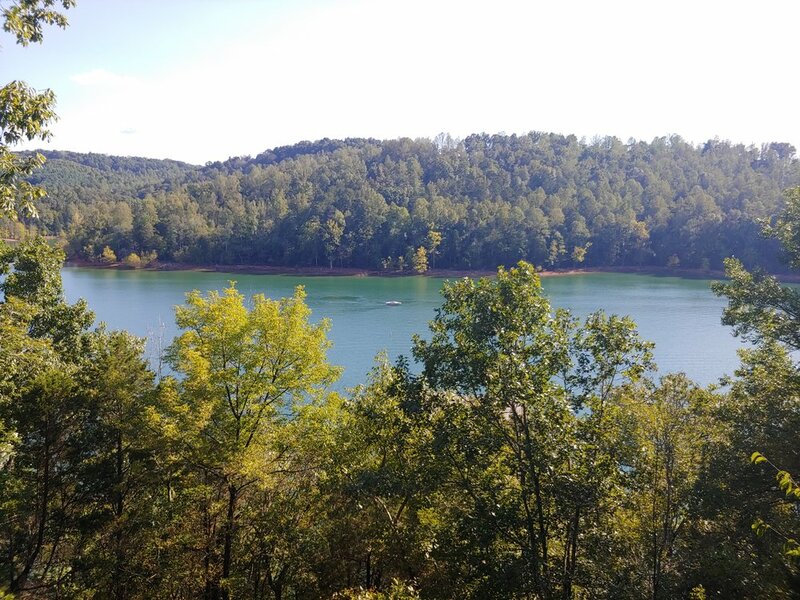 Located on the shoreline of beautiful Norris Lake provides a private, low boat traffic dock for clean water swimming yet has easy, quick access to open ski water. Right around the corner is the full service marina for gas, ice, beer, restaurant, and convenience store. The multiple level cabin sports a main level with easy access from the private parking area. Enter to see a fully equipped modern kitchen stocked for your camp chef to feed the hungry crowd. The kitchen overlooks the dining room, great room, and deck over looking the lake complete with propane grill. A master suite equipped with full bathroom is located just off the great room. With 30 vacation homes to chose from, Norris Lakefront Rentals can provide you with a gorgeous home, regardless of your budget or preference. Ranging from Shanghai Resort to Twin Cove, you are sure to find exacly what you are looking for! They also offer condominiums as well! At Oasis Watersports, our mission is to serve the community on Norris Lake to the best of our ability. With that being said, we want to help give back to our local community. © 2012-2018 Oasis Watersports, LLC. All Rights Reserved.